We love treating ourselves, and having great looking hands and feet are so important in the summer! My feet are constantly in sandals, and I want them to look fabulous! 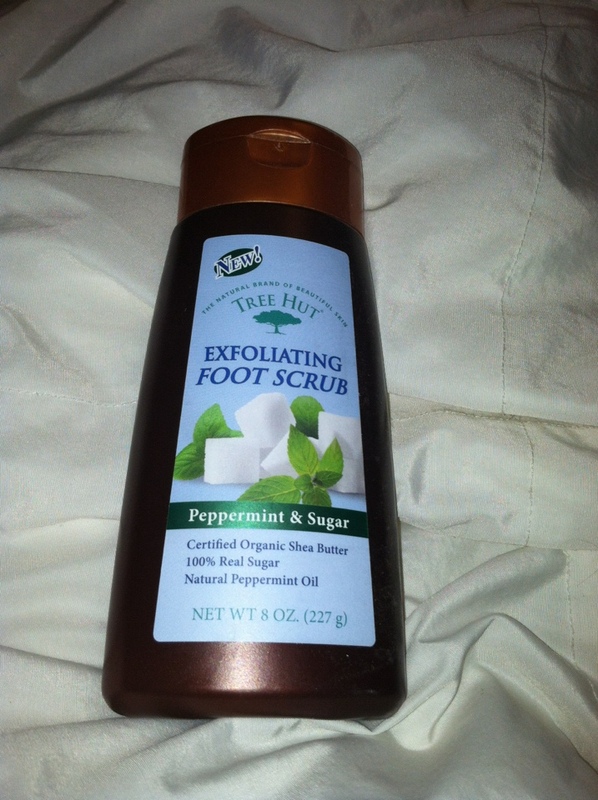 I loved treating them with Tree Hut's Exfoliating Foot Scrub and Soothing Foot Cream! The Exfoliating Food Scrub smelled tropical to me, which is a little odd since the official scent is peppermint and sugar. Perhaps the soothing smell is something I associate with being at the beach. The smell is very calming! The scrub itself is like a sugar type scrub in consistency. 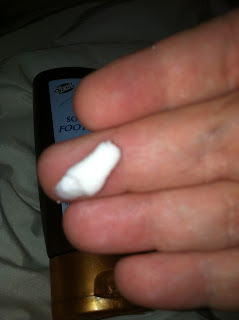 It is not thick and messy, and was really easy to use, especially in the shower! It left a coolness to my feet and allowed them to smell nice even after my shower! 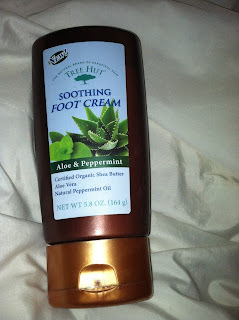 The Soothing Foot Cream is a great after-scrub product, but I love applying it right before bed. My feet are usually very tired by the end of the day and it is such a treat to be able to put my feet up and to treat them with a soothing cream! The Tree Hut Soothing Foot Cream has a peppermint and aloe smell, which is not overpowering and perfect for relaxation. The cream has some thickness to it, which is perfect for giving your feet the moisture they need to look fantastic in sandals. 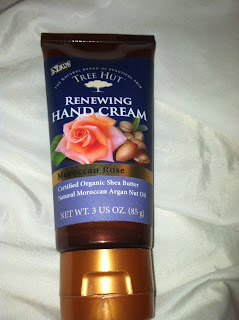 I was also able to try the Tree Hut Renewing Hand Cream. 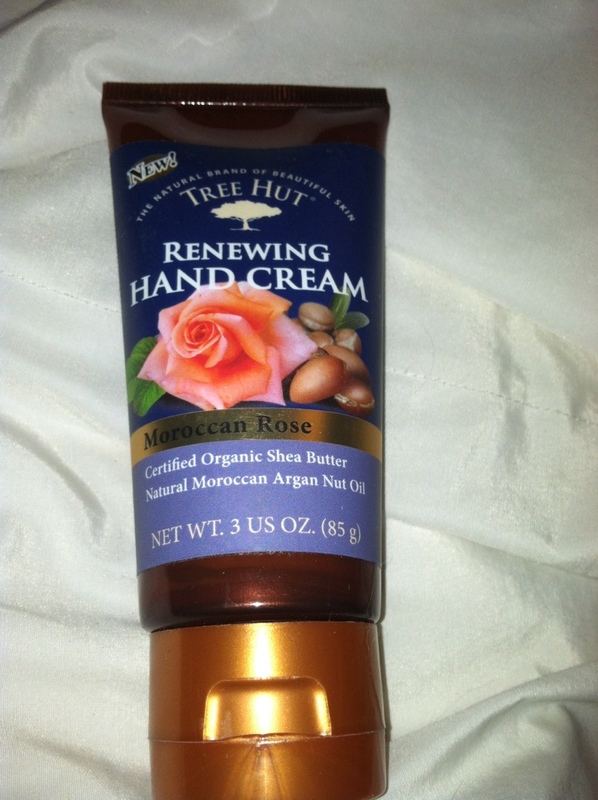 This was nice for my hands, and I have been keeping it in my purse. 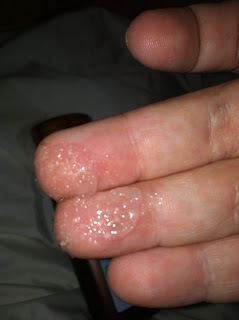 I use a lot of hand sanitizer, so having something that also moisturizes near by is important! It is thinner than the foot cream, which is nice because I do not like overly thick hand creams. It moisturized well, and my hands retained moisture for much longer! 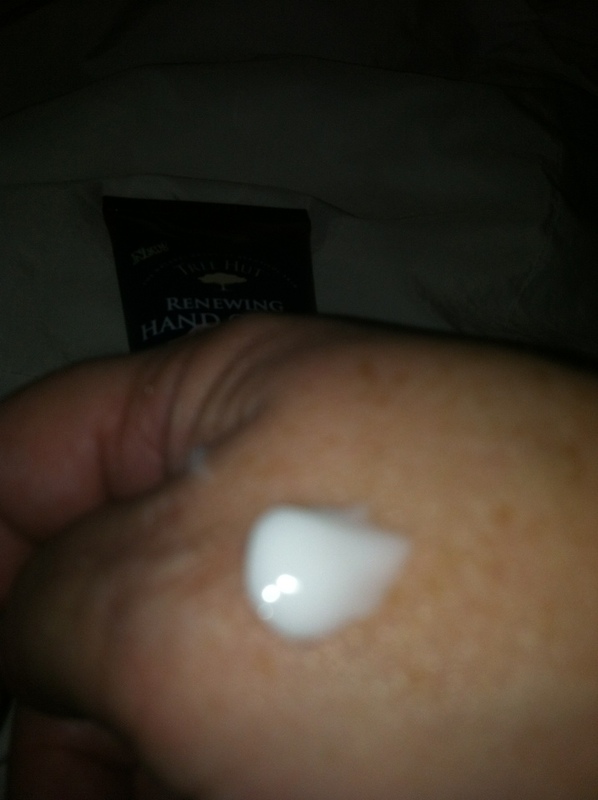 It was not greasy on my hands, and absorbed quickly! To find the products above, go to the link, select "Hand & Foot Care" in the search by product drop down menu, then type in your zip code and state!